AIFF Elite Academy defeated East Bengal 2-1 to win the U-18 I-League title at the Barasat Stadium on Sunday, 7th May 2017. Despite East Bengal drawing first blood through Bidyashagar Singh's 14th minute opener, AIFF Academy scored both their goals in the first half - Lalengmawia (15th) and Namgyal Bhutia (42nd) being the scorers. "I do not have enough words to thank the players who spared no effort to ensure this victory. It was a very good match and either team could have won. My players were determined to win and did not bow to the pressure. 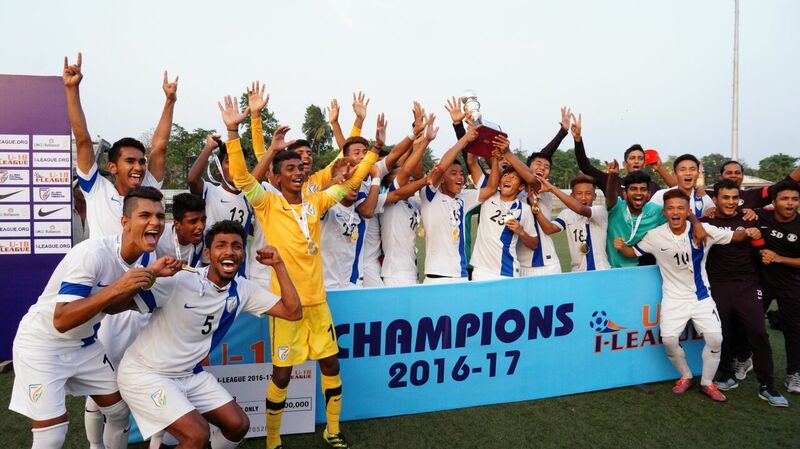 They did what was expected from them and emerged victorious in the end", AIFF Academy coach Floyd Pinto.